I forget to say that Songs of this movie are so melodious,Which is sang by different singers.They have very good lyrics. This movie song is very good..and the awesome movie.. This movie is blockbuster movie of their time.I have seen this movie.The cinematography is very good.I like it too. 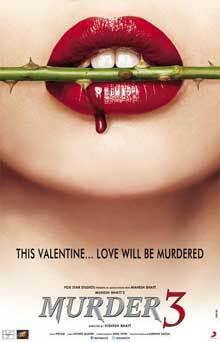 Murder 3 is my favorite romantic movie, i really enjoy this movie it song is too superb. story is completely different and awesome.